Man: You’re the kind of woman I’ve dreamed about … always desired. I’m wild about you. 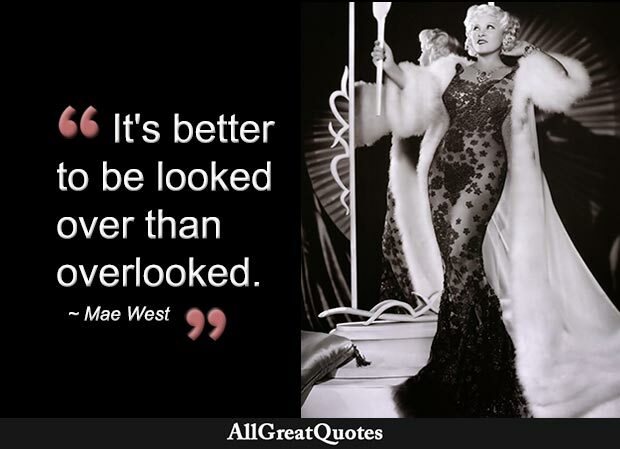 Mae West: Some of the wildest men make the best pets. Man: Are you in town for good? Mae West: I expect to be here, but not for good. Don’t let a man put anything over on ya ‘cept an umbrella.